We love living in the Foothills because of the wonderful wildlife that we coexist with. 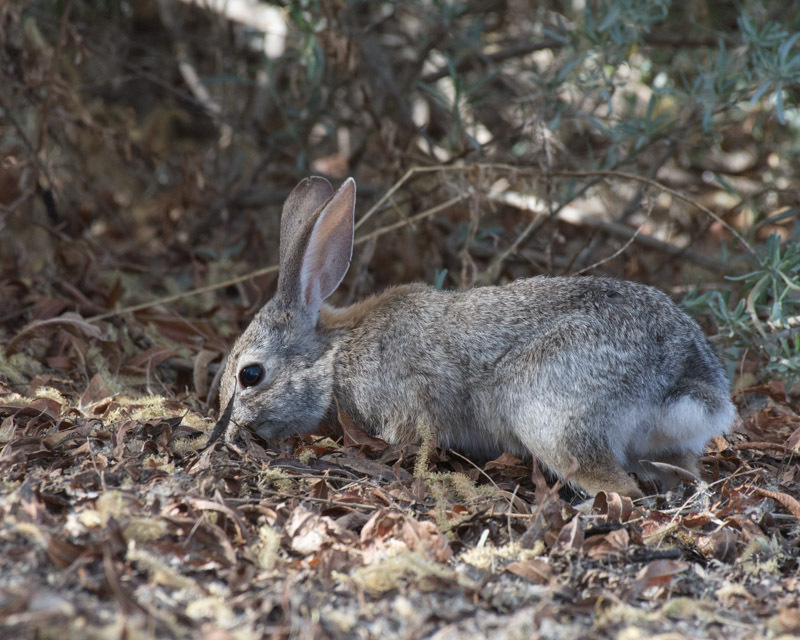 Desert Cottontails may be the cutest animals in the desert and the one desert-dwelling mammal you will see most frequently. They are also preyed upon by pretty much everything in the desert and most cottontails are killed within their first year. Their only defenses are good eyesight, good hearing, and the ability to flee quickly. They compensate for heavy losses by “reproducing at a prodigious rate”. Some people say they breed like rabbits!! 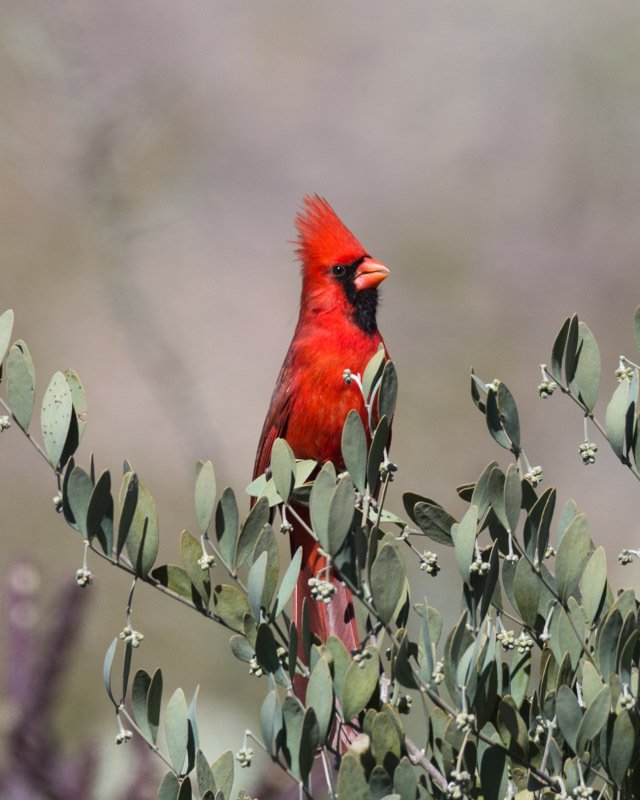 Another foothills favorite is the Northern Cardinal, here peaking up from a jojoba bush. 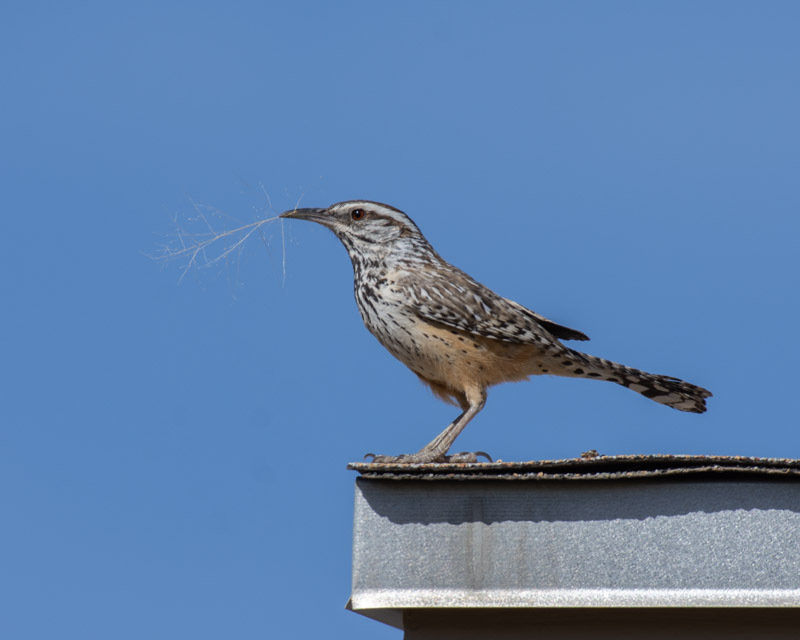 It’s springtime so Cactus Wrens are busy building nests. This one is on my roof with materials that may very well be used in the roof for its nest. 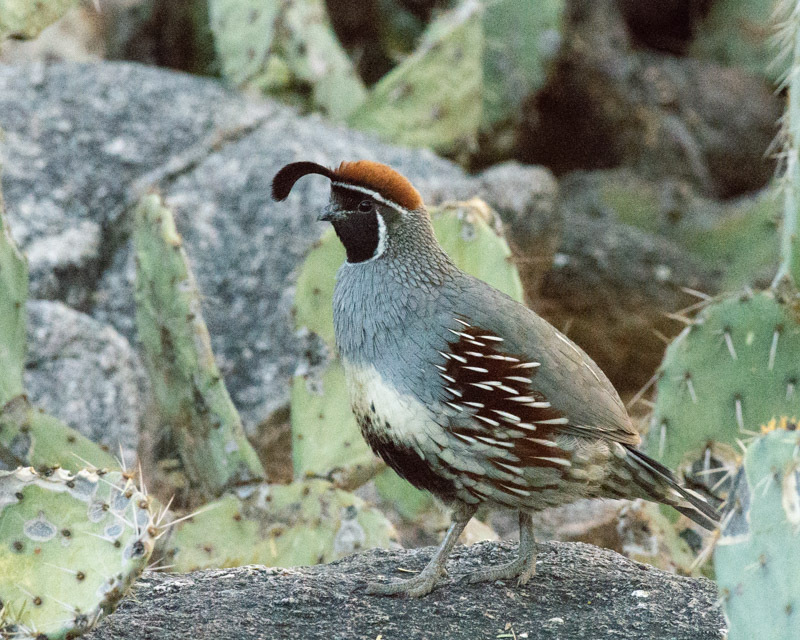 And Gambel’s Quail are ever-present. 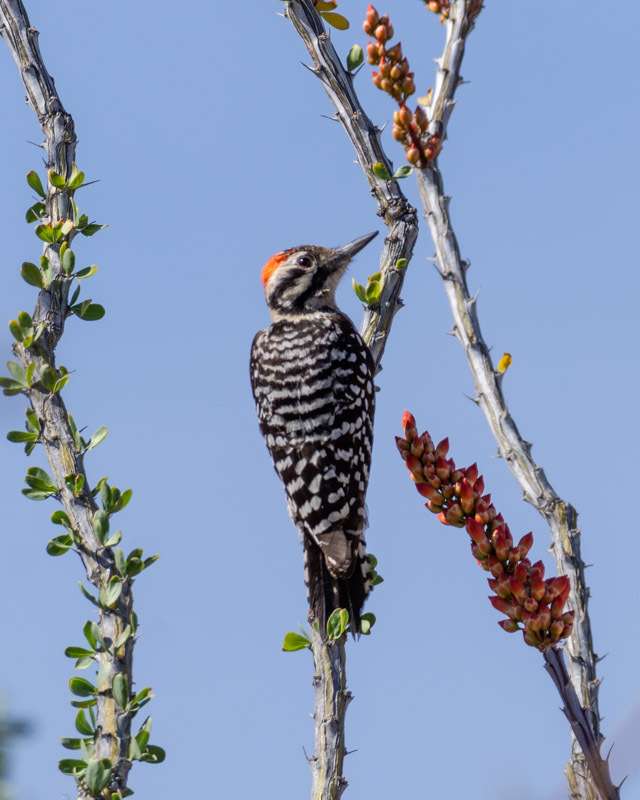 This Ladder-backed Woodpecker was looking for food in an ocotillo plant which was ready to bloom. You can see the ladder of stripes going up his back, giving him his name. 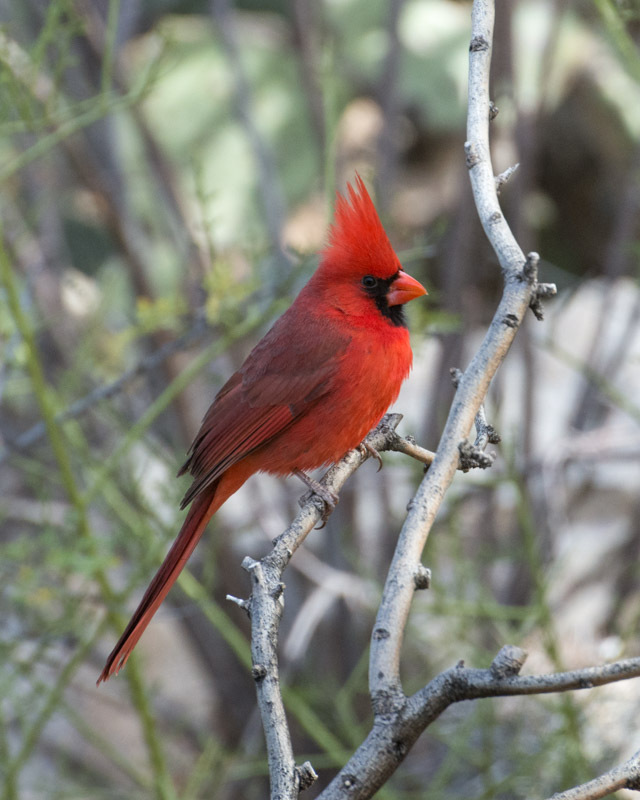 Although this bird is restricted to desert and arid environments in the United States, it is found in pine lands in Central America. Does this short, coarse, salt-and-pepper colored hair look familiar? 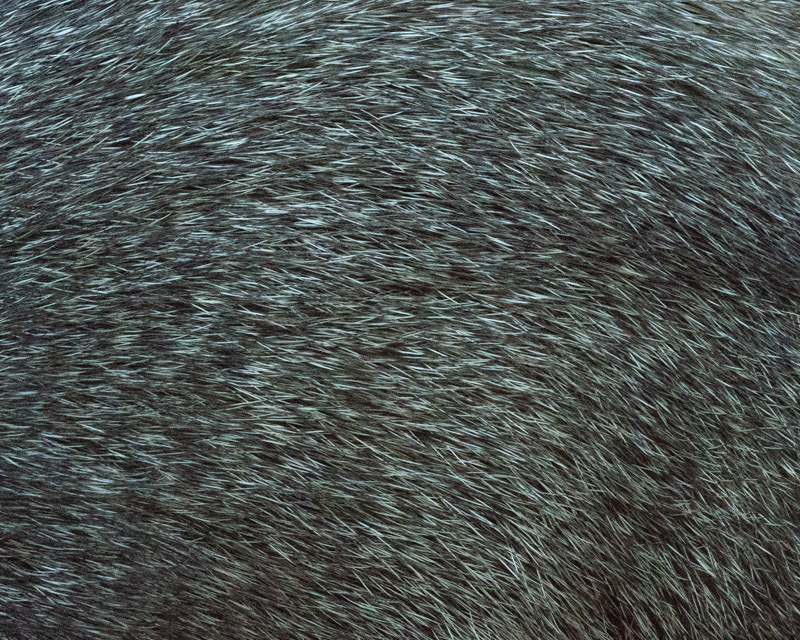 The hair of a javelina, also known as a collared peccary. The lighter hair around its neck gives it the “collar” in its name. 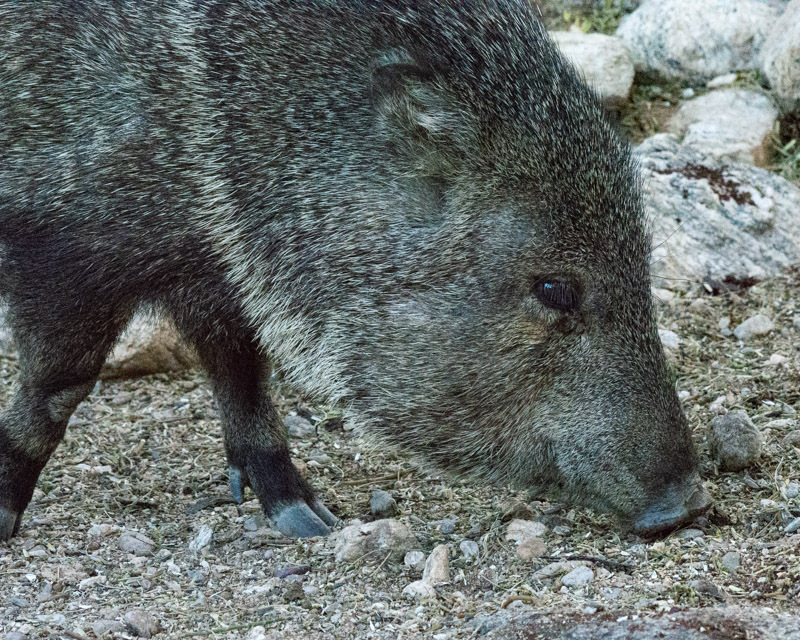 Javelinas are not pigs. They look similar, but pigs are from the “Old World” and peccary are “New World” animals with differences having to do with physical anatomy. 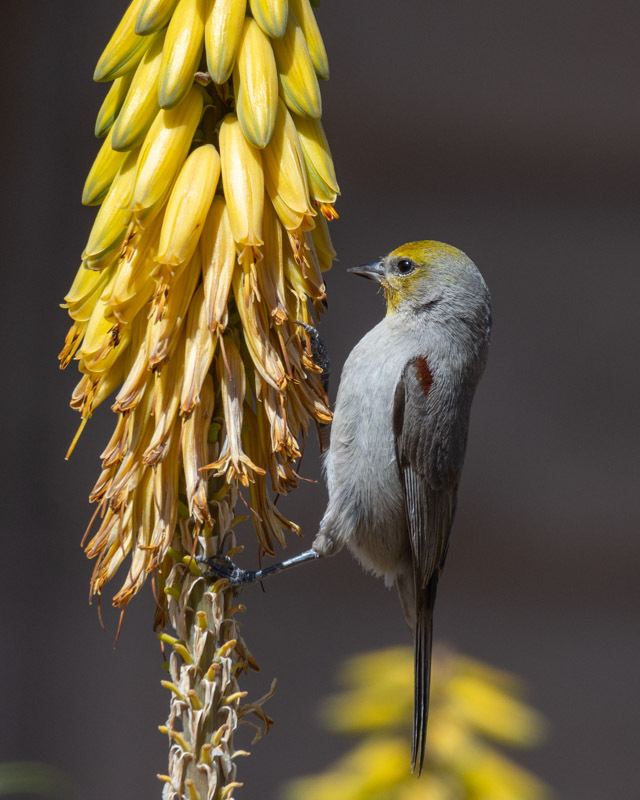 A Verdin with his yellow head feeding among yellow aloe flowers. Verdin eat mostly insects, but you will also see them at your hummingbird feeders drinking the ’nectar’. Verdins build multiple nests during the year. 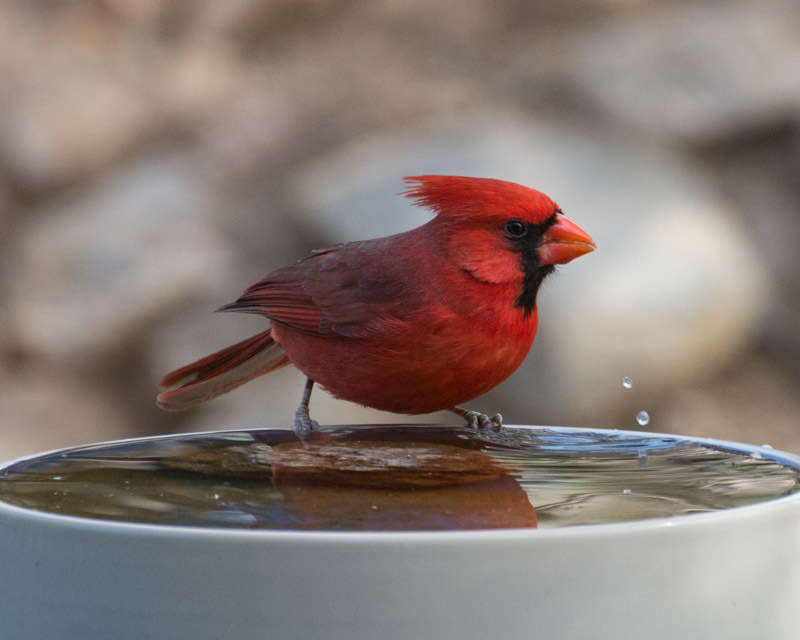 As the days warm up, the water dish becomes more popular.